What’s the sound of one hand preventing Alzheimer’s? Ohmmmmmmmm…. What was once the exclusive purview of mystics perched on mountain tops is no more: meditation has gone mainstream. Accruing scientific evidence has demonstrated conclusively that meditation has numerous, quantifiable benefits for both body and mind. In fact, meditation is proving to be one of the most powerful weapons at our disposal for combatting Alzheimer’s disease (AD). There is a lot of confusion and misunderstanding about meditation. To some, meditation is something entirely mysterious and unfamiliar. Others have heard about it but rejected it before even trying it, or after trying it for only a few minutes. Still others see meditation as something that can only be mastered after years of practice, thus lying forever beyond their reach. None of this is true: meditation is something anyone can do, it can be learned in just a few minutes, and the benefits can be felt immediately. There are many forms of meditation, but simple mindfulness is one of the easiest to implement. The standard approach is to sit or lie down comfortably, close your eyes, and focus on your breathing. Alternatively, one can light a candle and concentrate on the flame. Whatever your preference, the goal is to try to stay in the moment, to bring your attention back to the present whenever your focus starts to drift away. Your mind will drift, but that doesn’t mean you’re doing it wrong. With practice, your mind will settle down, and the usual mental chatter will dissipate. You’re probably wondering how you could possibly prevent a horrifying neurodegenerative disease…by essentially doing nothing. The fact is, you are not doing nothing. Meditation induces very definite changes in your brain, changes that can be detected at the level of brain waves and through a variety of brain imaging techniques. Here’s the critical thing: meditation works! For example, a systematic review of the literature completed in 2017 found no fewer than 13 original studies that documented positive effects of meditation on brain volume as quantified by MRI imaging . Numerous other quantifiable benefits, using various measures of neuroplasticity and neurochemical functioning, have been shown to accrue as a result of mindfulness meditation . Moreover, functional changes, including improvements in memory and executive brain function, have been observed in response to meditation sessions , in some cases from as short as 15 minutes . It is notable that mindfulness training has been shown to have benefits not only for patients, but also for their caregivers . 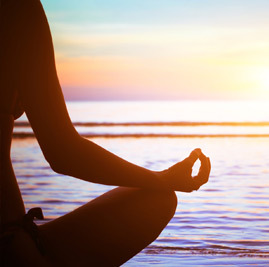 Although the precise mechanisms are still be elucidated, mindfulness meditation is well known to be a powerful form of stress reduction, which is well established to prevent declines in memory performance . Let’s review: meditation is easy to learn, costs nothing, has proven quantitative neurological and cognitive benefits, and has no deleterious side effects. 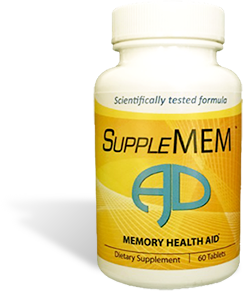 Given the lack of effective treatments for AD, we would be remiss not to make meditation one of our top recommendations for Alzheimer’s prevention.